Please register for the wait list by following the book now button. Where did they go wrong? What did they learn from their mistakes? And if they could do it all again, what would be different? Thinktrepreneur is kicking off 2018 with a Biggest F*ckups networking evening! Hear the untold stories of successful professionals and how they failed their way to success. Each speaker will talk about their experience. Then, there’ll be time for Q&A, networking and the opportunity to mingle with our panellists to ask them for career advice. 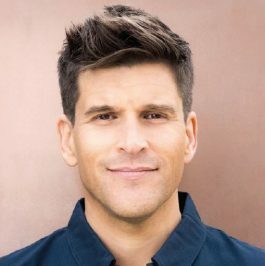 Osher Günsberg is one of Australia’s most recognizable media personalities. Osher has been a guest in the living rooms of Australian’s for nearly 2 decades. Currently, Osher hosts Network Ten’s The Bachelor, The Bachelorette and Bachelor in Paradise. Osher has had a long radio career and currently broadcasts the Osher Günsberg Podcast, which is it its 4th year and co-created and hosts the Movember Radio for the Movember Foundation. In 2016 Osher joined the board of SANE Australia as a director, in an effort to help change attitudes in our society about complex mental illness. A passionate photographer, cyclist, plant eater and coffee connoisseur, Osher lives with his wife, step daughter and their mischievous cavoodle. In September 2018 he will release his highly-anticipated memoir, published by HarperCollins Australia. Hana is the inventor and director of Love To Dream™, the #1 selling newborn to toddler sleep system. An experience fashion designer, Hana launched her business from her garage in 2008. Her product sold out within two weeks. Now she employs 20+ staff, exports to 45 countries, and last year had a turnover of $30 million. 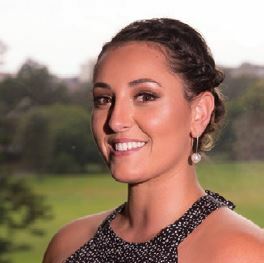 In 2017, Hana was awarded the prestigious Telstra Australian Entrepreneur Award. 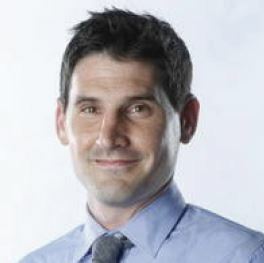 Jonathan is a senior journalist for the Australian Financial Review covering financial markets, the economy and investments. He has been awarded the Citigroup Business Journalism Award four times for his coverage of private equity, the government bond market, the rising influence of US hedge fund managers and the collapse of law firm Slater & Gordon. Genevieve is the founder and CEO of Gennarosity Abroad, a not-for-profit organisation that provides education, health, clean water and employment to communities in Kenya that she established when she was 19. She is currently leading the design and build of a hospital in to focus on decreasing preventable maternal and infant mortality rates in Kenya. Genevieve is also a registered nurse and works at Emanuel School. Ian Jankelowitz heads up the consumer marketing team at Microsoft Australia and is responsible for the team across brands including Xbox, Windows 10, Office & Surface. He has broad experience in general management including roles in brand management and strategy, innovation, brand activation, business development, sales, media planning and customer marketing. David runs the Australian arm of Telum Media. David and his team provide the latest moves and news in the media industry to journalists and media relations professionals across Australia and the Asia Pacific. Before joining Telum Media, he spent more than a decade in media relations in Australia, including at a Top 15 ASX company, and in the UK at a Fortune 500 company. David is deeply passionate about a functioning and healthy media industry.